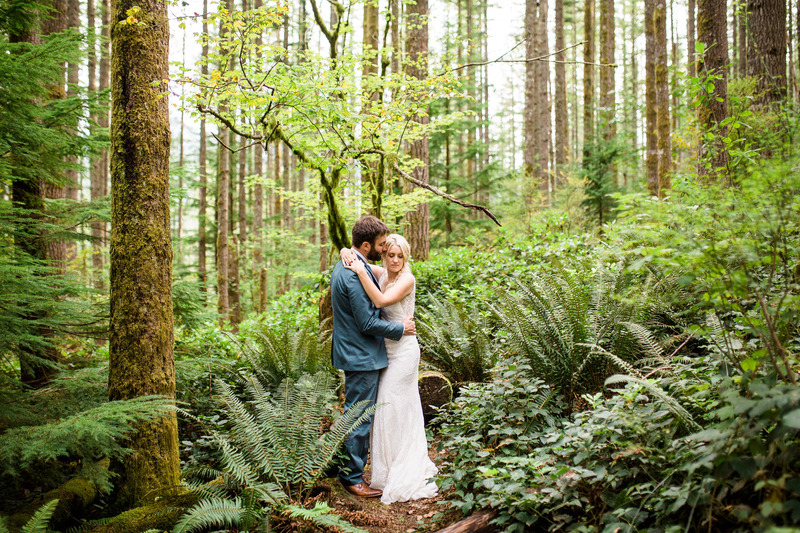 Jill & Adam, wanted their wedding to be another one of the many adventures they have together. 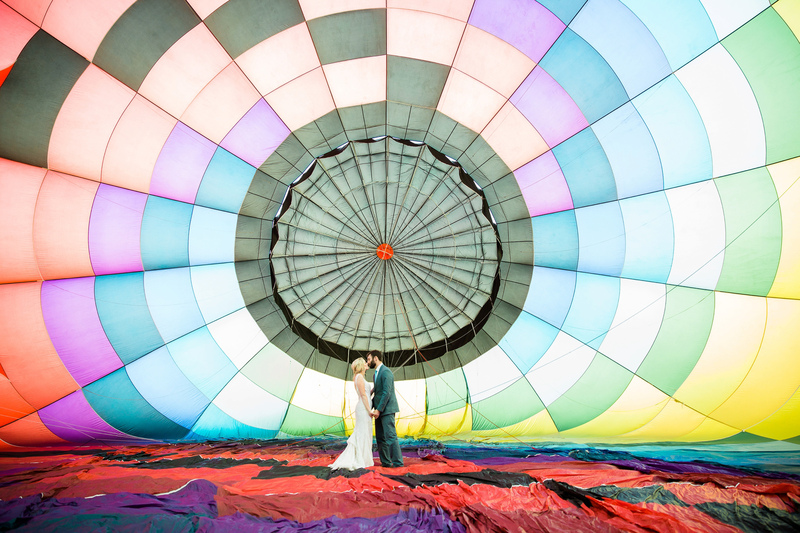 They both love backpacking, and travel, so when after they got engaged on a safari in Africa, they both knew their wedding plans wouldn’t be traditional. 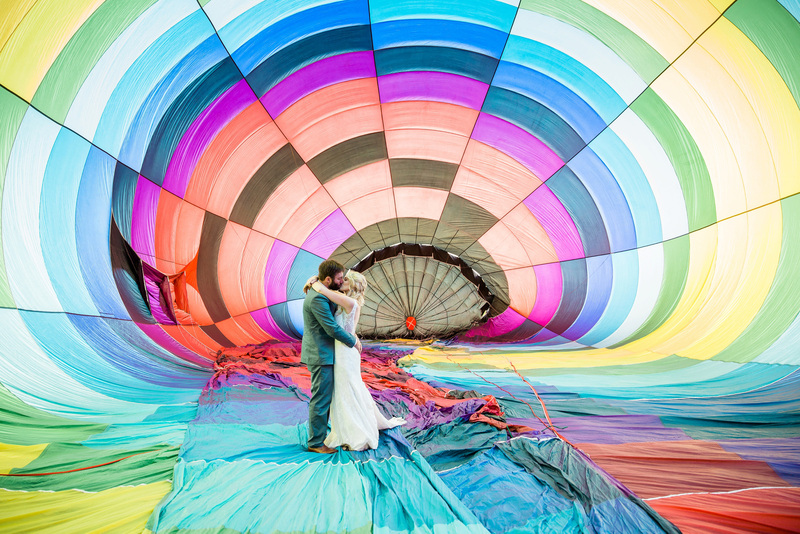 They wanted to say their vows doing something off their bucket list. 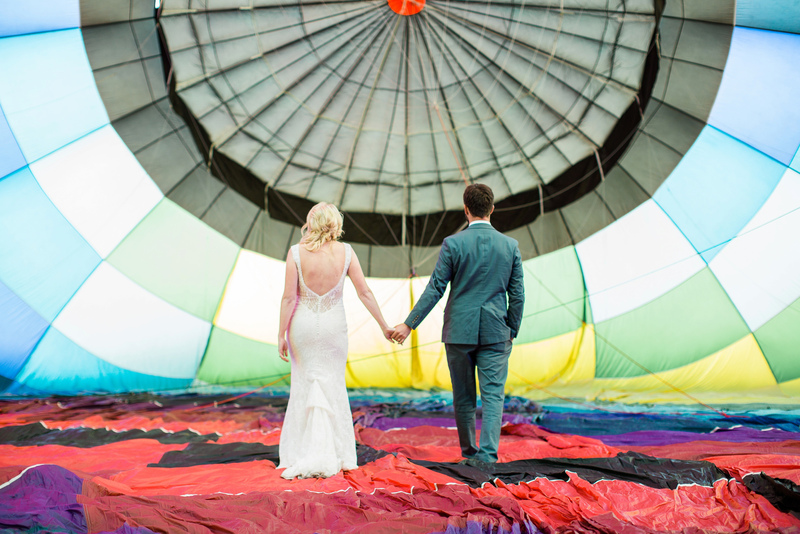 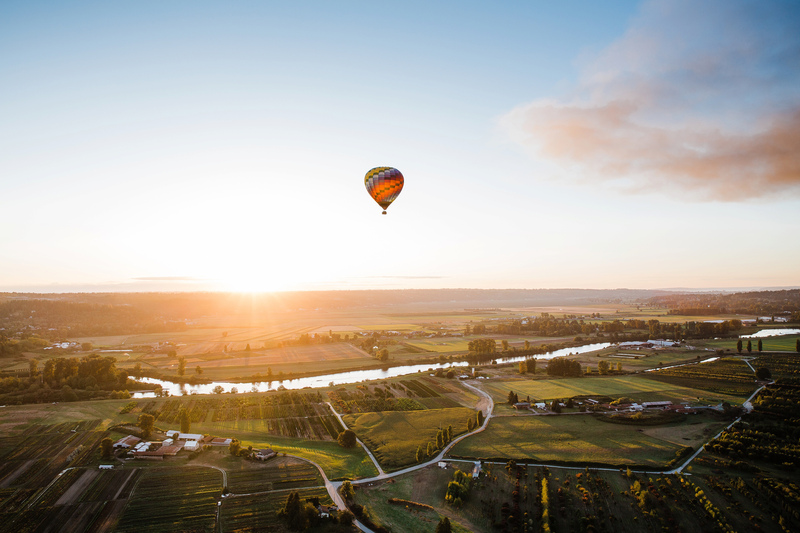 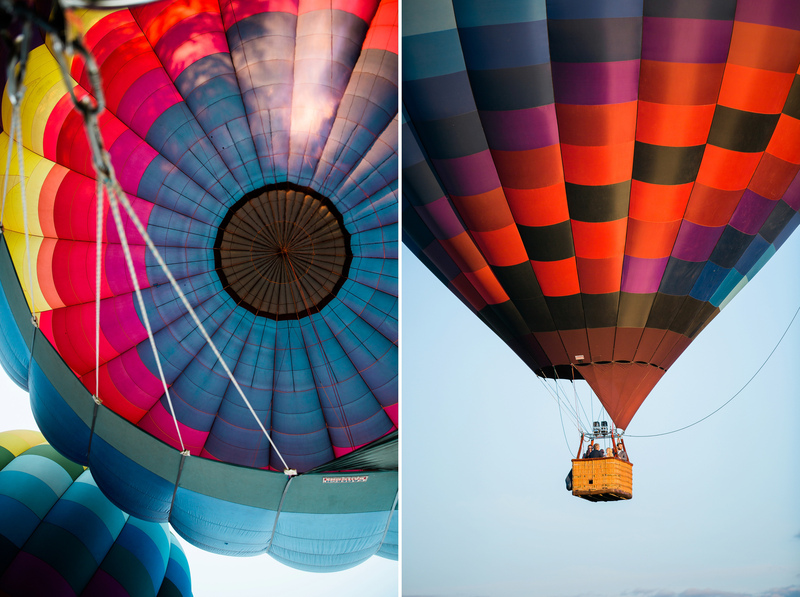 While most weddings happen rain or shine, hot air balloons require very particular weather conditions to take flight. 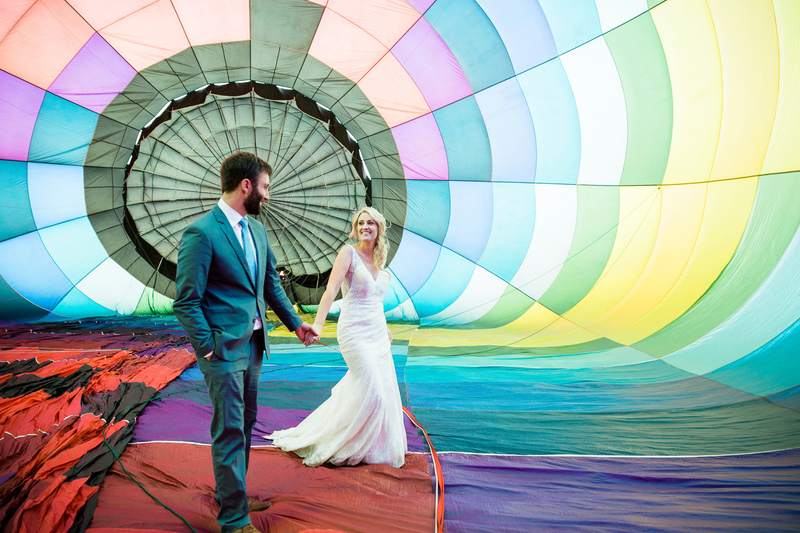 On Jill & Adam’s planned wedding date, it was too rainy for a safe flight, and so they rescheduled their ceremony to another day. 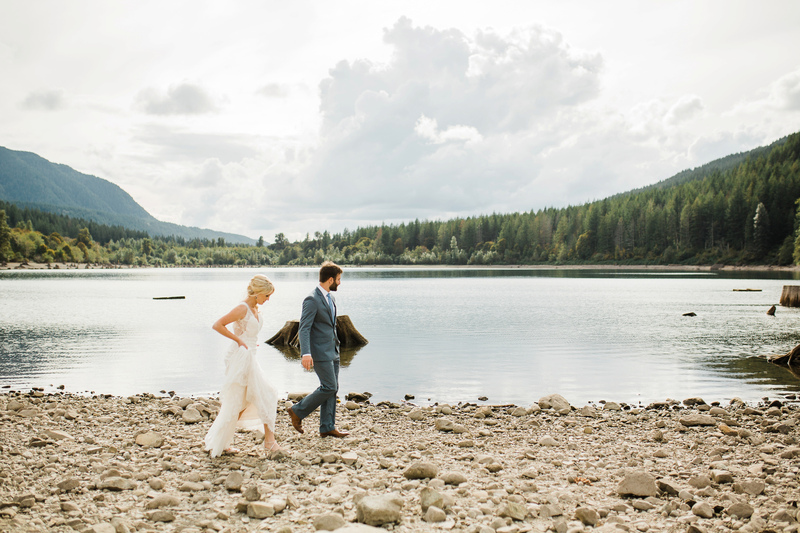 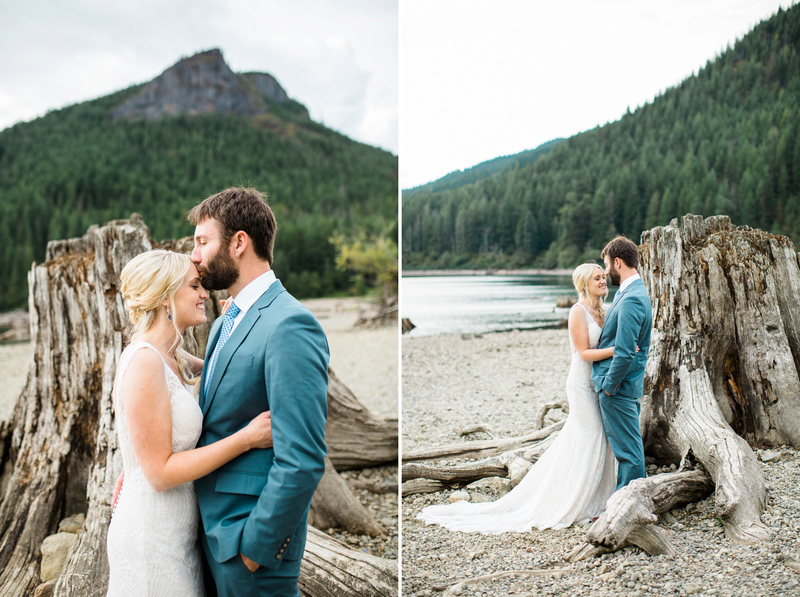 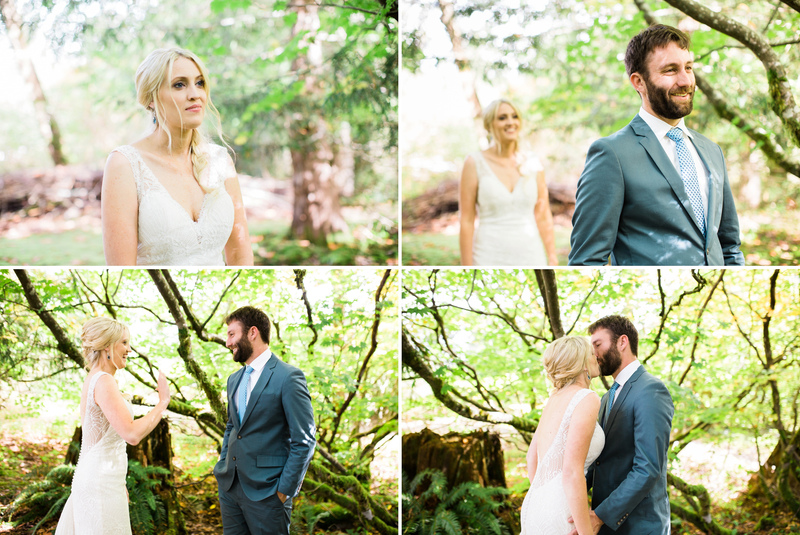 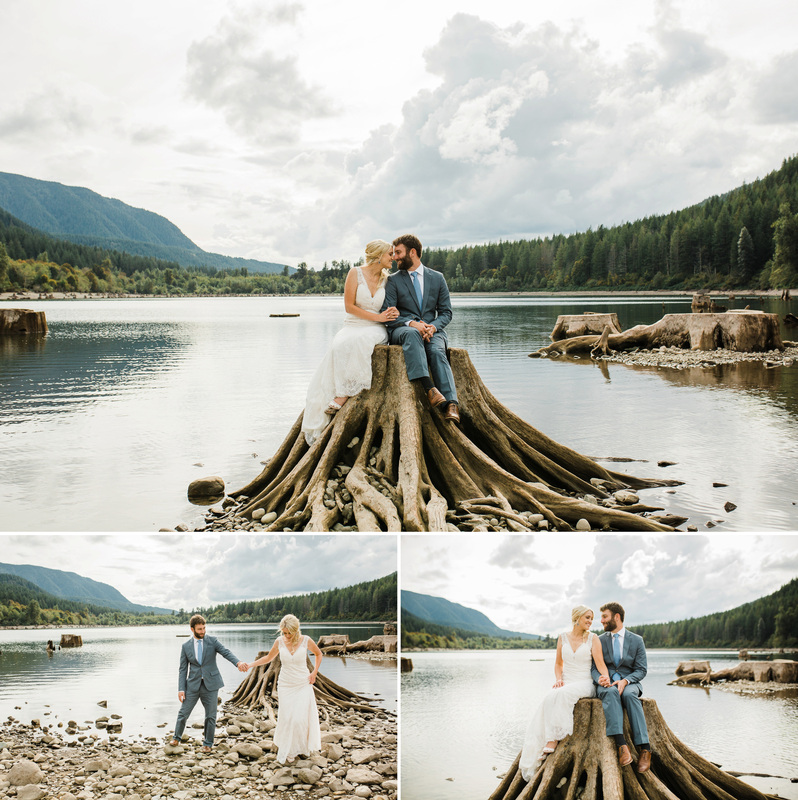 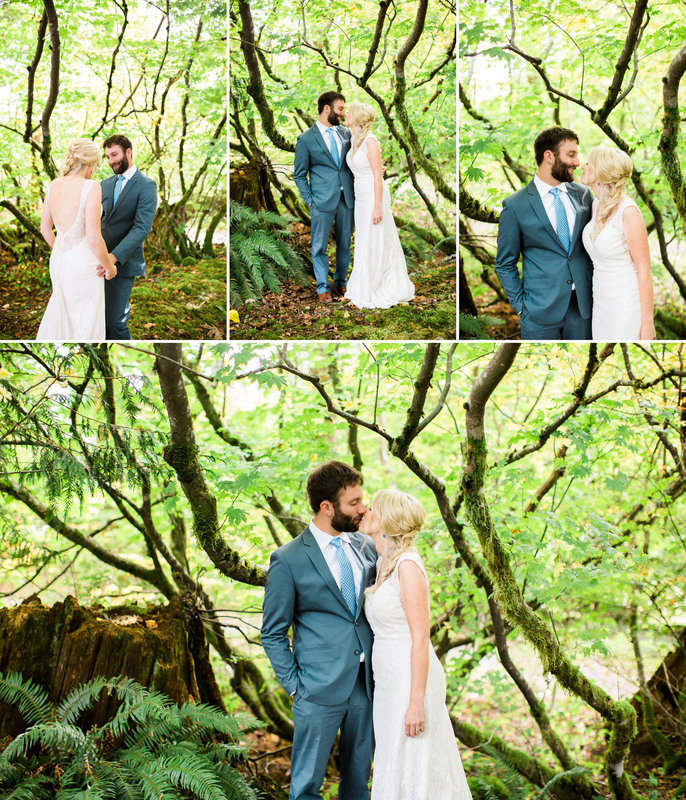 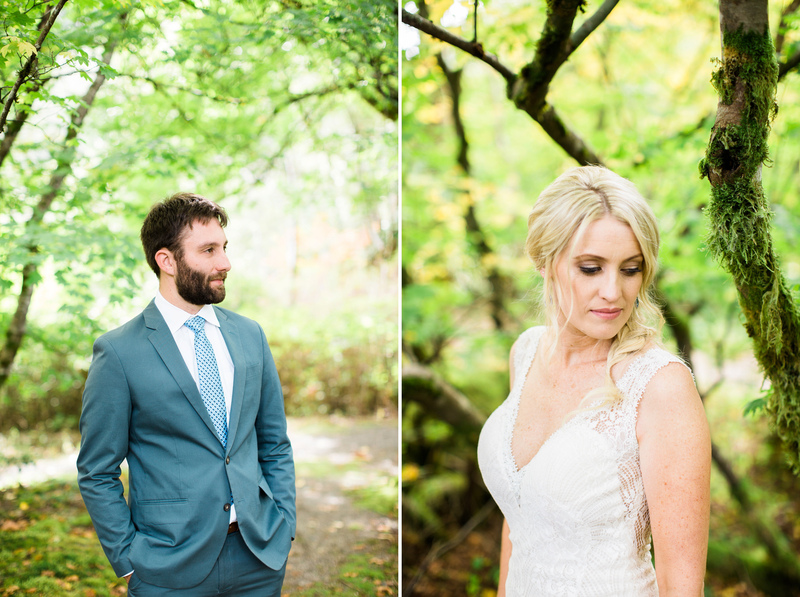 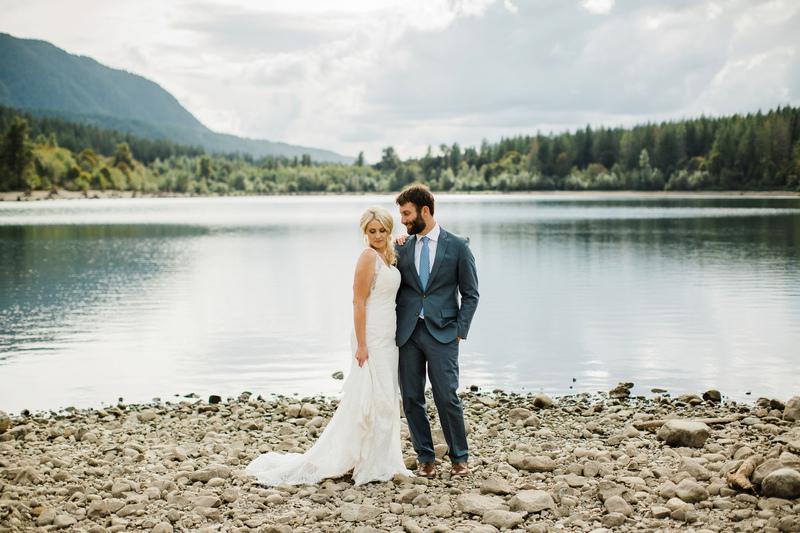 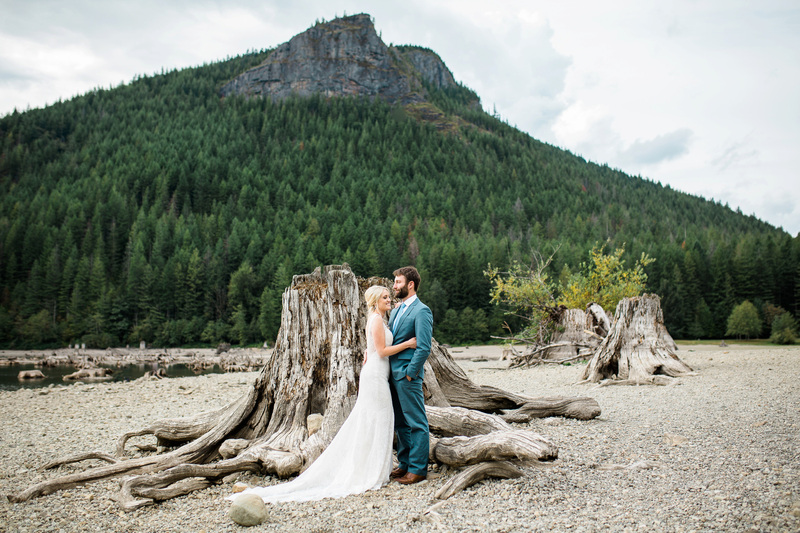 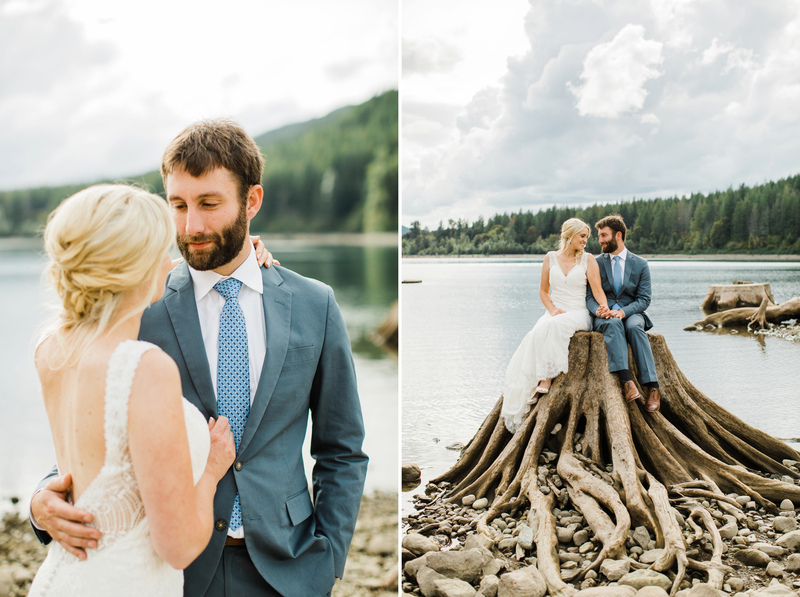 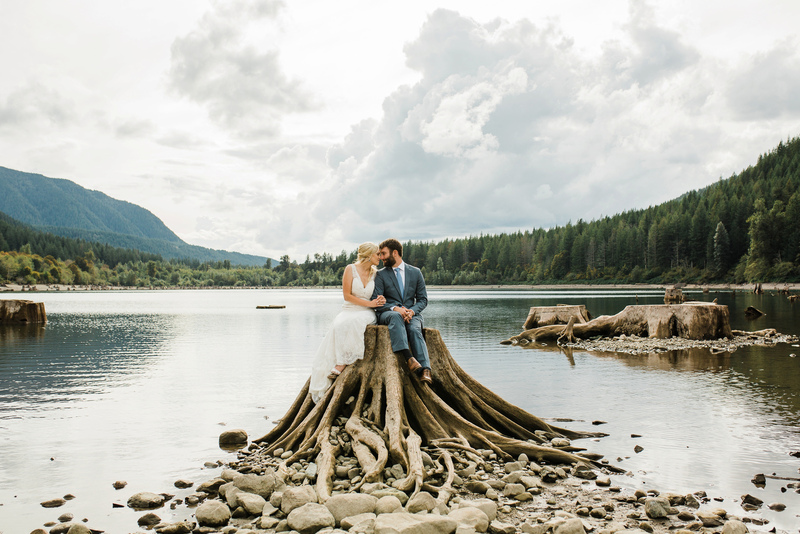 Since they were already prepared for their elopement wedding day, I photographed their first look at their home in North Bend, and their wedding portraits at Rattlesnake Lake. 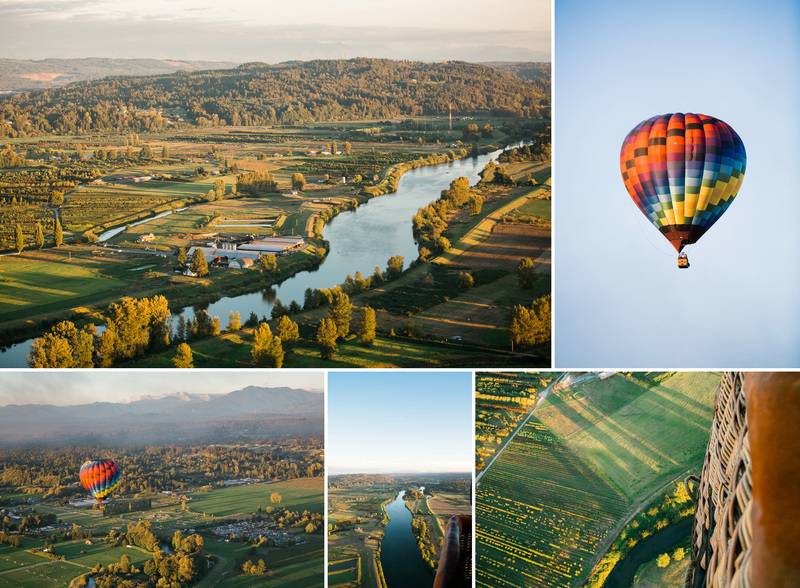 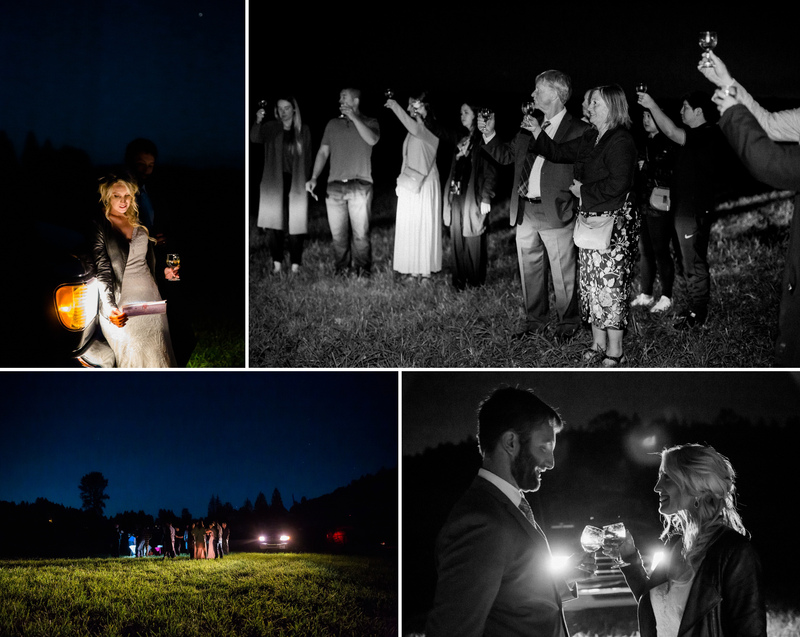 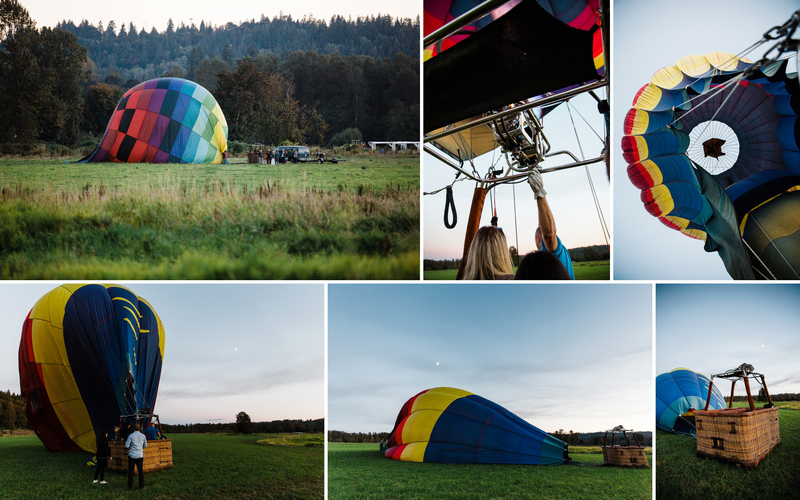 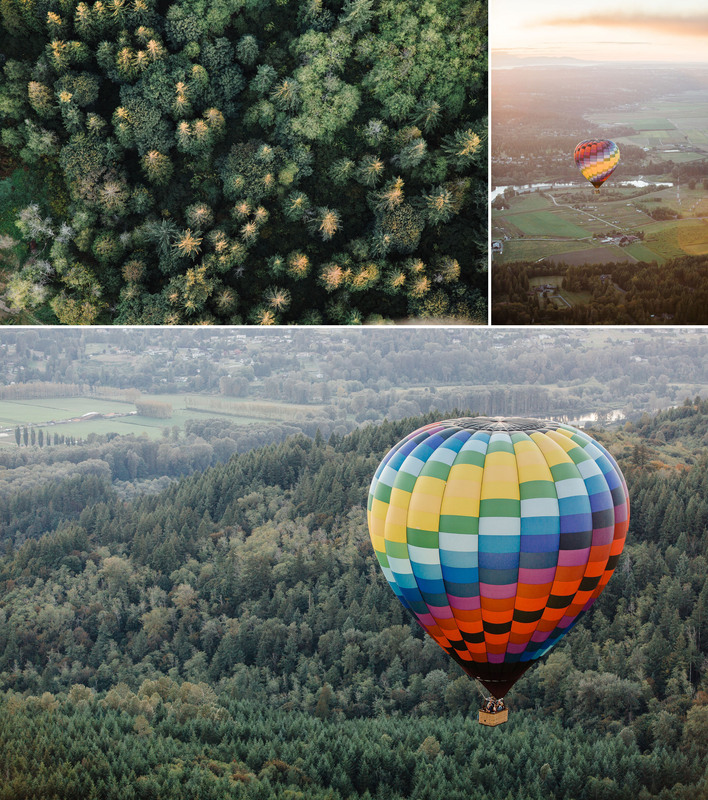 A few days later, on a sunny day with safe winds, they had their elopement wedding ceremony in Snohomish aboard a hot air balloon ride. 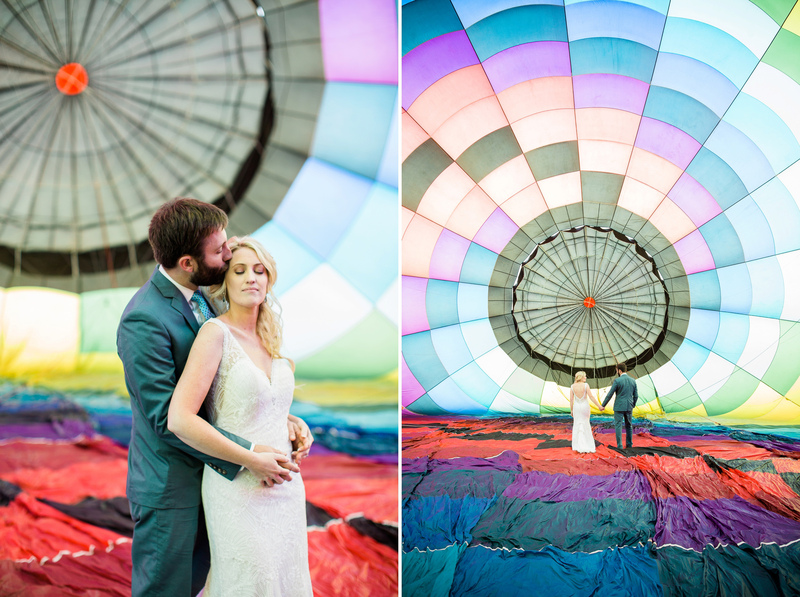 It was an incredible unique and beautiful way to say their vows to each other. 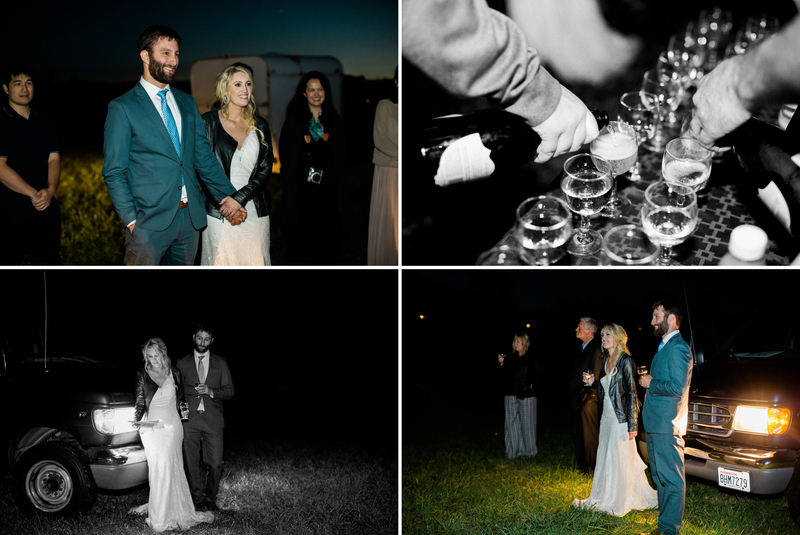 I love that Jill & Adam created a wedding day that was perfect for them.